In brewing, the water is referred to as liquor, so the hot liquor tank is simply a hot water tank. The water is heated, partly by electricity, partly as a welcome by-product of the heat-exchanger which cools the bitter wort from 100°C to 20°C during the brewing process. The temperature of the hot liquor and quantities used are carefully measured during the brewing process. 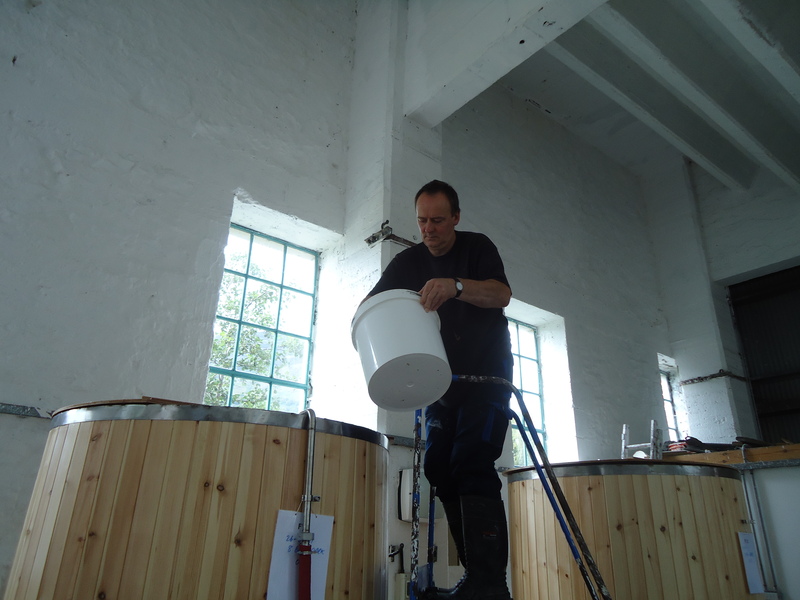 In here the hot liquor is mixed with the malt in carefully measured proportions (mashing). The malt releases its starch content which is now fully converted to malt sugar. The floor of the mash tun contains a sieve which allows the liquid, now called sweet wort, to pass through whilst holding back the solid husks of the malt. As the sweet wort is drawn away by pumping it into the next vessel (the copper) more hot liquor is sprayed over the malt to rinse out the remaining products from the malt - a process called sparging. So called because they are often found with copper lids, this is where the sweet wort is boiled and the hops are added. Boiling is necessary to ensure that the beer is free from any wild yeast or bacteria which could spoil the beer. It is also important in removing malt proteins that would otherwise make the beer taste harsh and look hazy. During the boiling process hops are added which add their distinctive flavours and also help to increase the shelf life of the beer. Following the addition of the hops to the sweet wort, it is now bitter wort. In here, the yeast is pitched into the bitter wort and the process of fermentation begins, turning malt sugar into alcohol and carbon dioxide bubbles, and turning the bitter wort into beer. 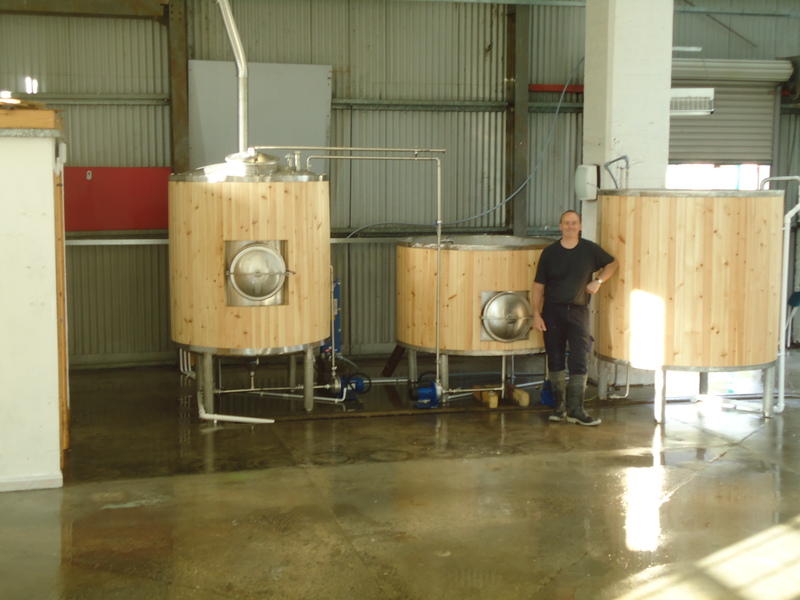 The fermenting vessels have a thermostatically-controlled cooling system to maintain a steady temperature during fermentation, and to chill the beer afterwards. Finally, the beer is drawn off through a hose into 9 gallon beer casks, which are stored in the cold store, ready for sale to our customers.